David Federman has never felt appreciated. An academically gifted yet painfully forgettable member of his New Jersey high school class, the withdrawn, mild-mannered freshman arrives at Harvard fully expecting to be embraced by a new tribe of high-achieving peers. Initially, however, his social prospects seem unlikely to change, sentencing him to a lifetime of anonymity. Then he meets Veronica Morgan Wells. Struck by her beauty, wit, and sophisticated Manhattan upbringing, David becomes instantly infatuated. Determined to win her attention and an invite into her glamorous world, he begins compromising his moral standards for this one, great shot at happiness. But both Veronica and David, it turns out, are not exactly as they seem. Loner turns the traditional campus novel on its head as it explores ambition, class, and gender politics. It is a stunning and timely literary achievement from one of the rising stars of American fiction. 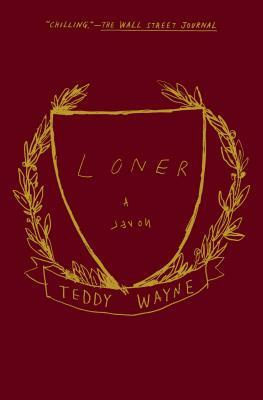 Teddy Wayne, the author of Loner, The Love Song of Jonny Valentine, and Kapitoil, is the winner of a Whiting Writers’ Award and an NEA Fellowship as well as a finalist for the Young Lions Fiction Award, PEN/Bingham Prize, and Dayton Literary Peace Prize. He writes regularly for The New Yorker, The New York Times, Vanity Fair, McSweeney’s, and elsewhere. He lives in New York. "Teddy Wayne perfectly conjures the mind of a keenly observant, socially ambitious, and utterly heartless college student. Yet no matter what outlandish things David does, I couldn't help but root for him—until the book's gut-punch ending." —Adelle Waldman, bestselling author of The Love Affairs of Nathaniel P.